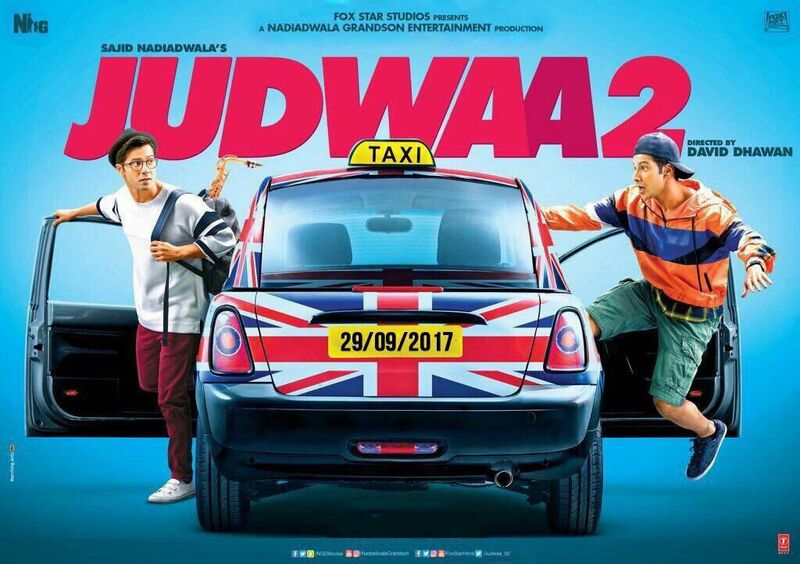 This is the sequel of the 1997 movie Judwa. Varun will play two estranged twins. Ever since a sequel to the 1997 hit Judwaa was announced, the one question on everyone's minds is - who will romance Varun Dhawan? While the original had Karisma Kapoor and Rambha paired opposite Salman Khan, the makers have now decided the sequel's heroines. A leading daily has revealed that talks are on with Parineeti Chopra and Jacqueline Fernandez. The makers want two top young actresses opposite Varun and they feel Parineeti and Jacqueline are the best bet. But Parineeti may not have dates for the film. Apparently, she has liked the idea but will sit for a complete narration after the script is finalised and try to figure out her date diary. *Varun Dhawan as "Salman Khan." *Jacqueline Fernandez as "Kharisma Kapoor." ^PLEASE NOTE that the definition of "young" actress has changed between 1997 and 2017. Kharisma was 23, and Rambha 21 (IMDb) or 19 (Wikipedia), when the first Judwaa was made. Jacqueline is 32, and Taapsee is 30. (Parineeti is 29). These days the very-youngest Lead Actress in Mumbai is Alia Bhatt, who just turned 24. On the men's side, Salman was 32, and Varun is 30. Ever since a sequel to the 1997 hit Judwaa was announced, the one question on everyone's minds is - who will romance Varun Dhawan? While the original had Karisma Kapoor and Rambha paired opposite Salman Khan, the makers have now decided the sequel's heroines. A leading daily has revealed that talks are on with Parineeti Chopra and Jacqueline Fernandez. The makers want two ^top "young" actresses^ opposite Varun and they feel Parineeti and Jacqueline are the best bet.